The St Vincent de Paul Society in Australia would like to mark the occasion of International Volunteer Day (December 5) by extending a warm thank you to our volunteers. Our volunteers are everyday people, from all walks of life and backgrounds and together their selfless actions enabled our charity to assist more than 1.8 million people last year. 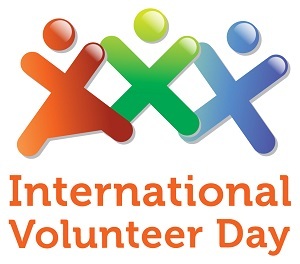 International Volunteer Day (IVD) is an annual event established by the United Nations General Assembly in 1985 and is celebrated worldwide with thousands of volunteers involved in a range of events as diverse as the volunteers themselves. Volunteering Australia supports IVD and thanks the over six million Australians who volunteer their time. We encourage the broader community and all volunteer based organisations to get involved with the celebrations in your area. Volunteering for Vinnies is a rich and rewarding experience. It’s easy to get started as a Vinnies volunteer. Simply click on one of the links below to be taken to your state or territory’s volunteer page. It will have all the information you need to make a difference in someone’s life. Meet Ian Mahon, who first started volunteering at Vinnies in 2012 with our Compeer program in Sydney. Compeer matches volunteers in one to one friendship with people who have become socially isolated due to mental illness. The Compeer Program is offered in the ACT, NSW, QLD and VIC. Visit the Find Help section on our website to view the full range of services and programs offered by Vinnies. What is your favourite thing about working/volunteering at Vinnies? My Compeer friend is, without a doubt, the best thing about my involvement with Vinnies. I originally volunteered for Compeer because I had just retired from working and wished to try giving something back to the wonderful community in which we live. What I did not realise at the time was that my volunteering experience would give me far more enjoyment, friendship and satisfaction than I ever could have imagined. My volunteering friendship has turned into a genuine friendship which I look forward to every single week not to mention all of the wonderful activities friendships we have formed with the rest of the Compeer family. In the time that you have spent volunteering at Vinnies, what is your favourite story of success or inspiration? My favourite story of success is the way a genuine friendship has grown between my Compeer friend and myself. 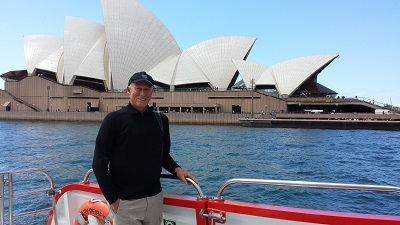 When we meet we invariably chat about the things that have happened to each of us during the week, we visit a new and interesting part of Sydney and we have fun. Even though our backgrounds are very different to each other, we actually have so very much in common and I find that to be pretty inspirational. What has volunteering at Vinnies taught you? Is there something you have learned that you would like to share? I have learned that Compeer is a wonderful volunteering opportunity for anyone who has even a small amount of time to devote each week. It does not matter how young or old you are or where you live. Mental illness does not discriminate and Compeer can always find a friendship match for you. And if your experience is anything at all like mine has been, then you will be very, very glad you became volunteered.